Flexibility of design is a big benefit of drip irrigation. Why? It involves placing tubing around your landscape to achieve the exact custom layout you want. For instance, you can extend it to hanging plants, down rows in a garden, on a street median, or as ground cover. 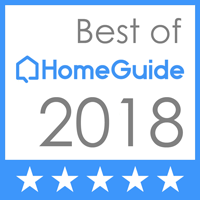 In a nutshell, if you have an oddly-shaped or small landscape, this type of system is perfect for you. Commercial Irrigation & Turf can install it. 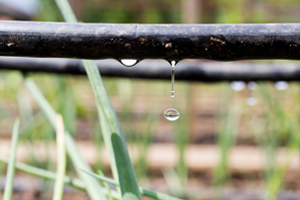 Drip irrigation is essentially a network of pipes, tubes, valves and emitters. It can also be referred to as micro irrigation. Its purpose is to deliver a slow-moving supply of water that gradually seeps into the soil. Compare that to standard systems, which spray large volumes of water directly onto the lawn or garden. Thus, we have the drip irrigation systems Urbana IL needs. 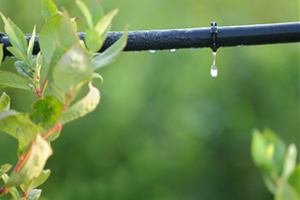 You may wonder why so many home and business owners choose drip irrigation. Well, they do so mainly for its water and energy conservation methods, which results in energy bill savings. Plus, your plants thrive and are much healthier. Connect micro adjustment nozzle to the flex line with nozzle intact. Ensure emitters connect to the flex line. Ensure the flex line connects to the riser. During our consultation, our team can let you know if drip or micro irrigation is right for your purposes. We offer hands-on skill and training throughout the entire installation and construction process. That’s why we are proven leaders in residential and commercial irrigation throughout Central Illinois. Choose Commercial Irrigation & Turf for access to highly-trained professionals who would be happy to give you a free, no-obligation estimate. Commercial Turf & Irrigation can install quality drip irrigation systems in Urbana IL. Please call us today at 309-698-3011 or fill out our online form for more information.